I should probably post this before 2012 is over! 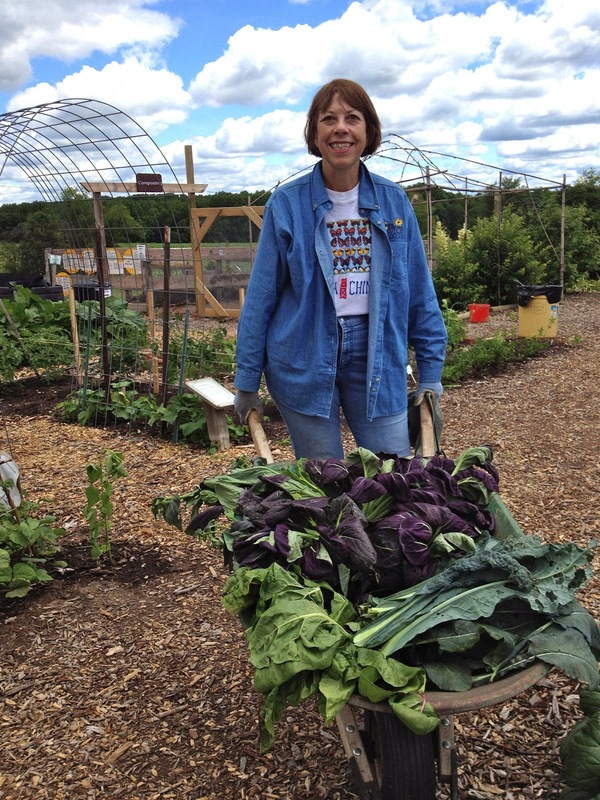 Overall, we had a good year in the vegetable beds of the Derwood Demo Garden in Montgomery County, MD. Our main focus for the year was to produce a successful harvest of certain crops (beans, cucumbers, melons, squash, tomatoes, leafy greens) while, as always, trying out a few new plants. Here’s a quick summary of what went well and what didn’t, and why. We grew a lot of beans this year, with a good success rate overall. 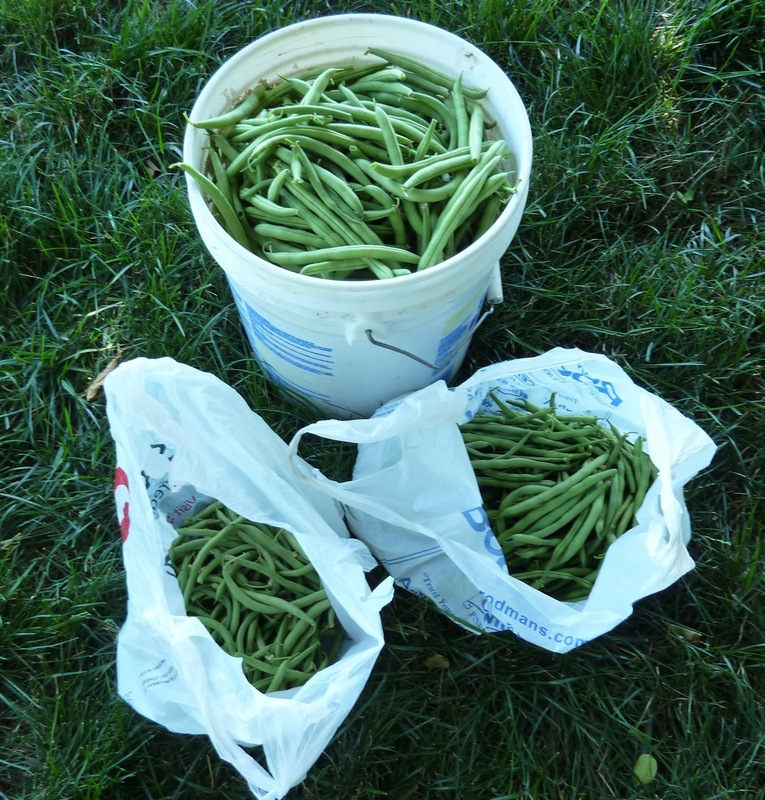 Our most exciting bush bean was Provider, which has the advantage of being moderately cold-hardy, so we could get the seed started in mid-April and take advantage of the short-term but heavy crops before Mexican bean beetles moved in big-time. Then we had time for another crop to harvest in fall. We also got good production from Blue Lake, both bush and pole, the latter somewhat affected by bean beetles, Japanese beetles, and BMSBs, but not badly enough to limit the crop much. I’m also still very fond of Masai bush beans, which produce quickly and fairly heavily on extra small plants. And our purple pole beans were lovely and moderately productive. Tomatoes produced very well until mid-August when the BMSBs moved in. After that, we harvested barely a tomato worth eating. An early-season experiment with covering plants with a lightweight mesh had to be discontinued when the plants outgrew the size of the fabric (note: do this with smaller plants next time) and started showing damage due to shading and overcrowding. Then the stink bugs got ’em. We participated in a stink bug trap trial that I believe has been judged not to be a success – at least in our case, we seemed to have more bugs on the plants near the trap than elsewhere. I’m going to lump cucumbers, melon and squash together because none of them did very well. We made an attempt to distract cucumber beetles by planting cucumbers in a bed with many herbs and flowering plants, which, um, were a little too aggressive and overwhelmed the cucumbers (which showed signs of bug damage anyway). I am planning to give County Fair another trial next year, since it is supposed to be resistant to bacterial wilt spread by cucumber beetles. Another experiment using reflective mulch under the cucumber plants to confuse the bugs wasn’t much of a success either; it may have helped in the early stages, but once the plants grow tall it has no impact, and the bugs just keep coming all season. (Covering plants in young stages is ineffective for the same reason.) We’ll keep working on the cucumber beetle problem, but I suspect frequent succession planting may be the best solution. Nearly all of our plants produced some cucumbers before they succumbed to disease. Melons: pretty much ditto, except that we had even fewer fruit. We did not do enough with vertical structures, however; it really should help to get the vines off the ground. Our late-spring-planted squash plants, both summer and winter, were all killed off by squash vine borers, despite foil wrapping the stems. Next year I plan to: wrap the stems better, with fabric instead of foil; pile mulch around some of the stems as a trial; plant good old Zucchetta Tromboncino, the huge-vined huge-fruited squash I’ve never lost a plant of (we did lose butternut this year, though, which should also be resistant to vine borers). We had no success with a June planting, which used to be the solution to the borer problem; now they are producing a second generation to attack late-planted squash. However, we did get some fruit from a mid-August planting of seedlings started in July: success through procrastination! Let’s face it; we have a serious cucurbit bug problem in the Derwood Demo Garden. Next year we need to focus on combating these pests by every organic means possible. One of our biggest problems is time – we’re just not there in the garden often enough, but there is only so much we can do about that. Squash bugs were controlled fairly well through crushing of egg masses and some hand-picking of adults. Whew, a success to report, in this our Year of Leafy Greens! Both our spring and fall crops of mustard, pak choi, kale and other greens produced well. Our green curly mustard, in fact, lasted well into the summer months, only succumbing to harlequin bugs when we had to uncover it due to size. And that’s the secret to our success: keeping the plants under row cover from planting until the bugs were frozen out in October. We did note that our Tuscan kale (or Lacinato or Dinosaur), perhaps because of its non-bitter flavor or its bluish color, was the least attractive to harlequin bugs, not attacked until everything else was gone. However, the cabbage worms liked it fine, so I’d still suggest keeping it under cover. Too bad, since it is SO PRETTY. No rabbit problems with greens or beans this year, thanks to our intrepid fence team led by Tom Maxwell! Yay! For the second year in a row we have failed to produce much in the way of okra, which used to be a foolproof crop that loves our heat and humidity and usually gives us many more pods than we want to eat. This is especially odd since it is related to the above-mentioned hibiscus, which did extremely well. However, the okra plants were strangely short and sickly and died young. Perhaps the seed was too old? I will try again next year with brand-new seed. This is a very quick summary written in a hurry before a holiday trip; I apologize, but I’ll try to discuss details in the comments if anyone has questions. ← Some guys don’t give up!! Thank you for this post: it always fun to read how other gardens fared! I so sympathize with the challenges of growing food in a garden that is not at your own home. I have done all the same things you are doing to try to protect plants in the cucurbit family. I have one more tip: spray the stems with a thick layer of Surround (kaolin clay). I got this tip from another gardener. I had told her how well kaolin clay works on protecting tomatoes from BMSB. Not only did she use it on her tomatoes, but she tried it on the stems of her squash plants as well. It worked for her, so I tried it this year and had good success! I commiserate regarding the butternut squash—a total crop failure for the same reason. (I need to try Surround!) However, my Okra plants were over 6 feet tall and prolific. I have great cucumbers and plant ones like Marketmore and Diva which don't have the bitterness gene which attracts the cucumber beetles and bear well. My beans were going gangbusters until it got really hot and dry and then it appeared that spider mites got the upper hand. Sucession plantings helped and after hosing off the plants each day—the pole beans recovered to some degree. I was thrilled to find out that my recently acquired CHICKENS EAT STINK BUGS! Their foraging should help with the future of stink bugs. My tomatoes thrived. Aphids devastated my turnip and rutuabega plants. I am still eating kale, lettuce, oriental veggies, broccoli and more out of my garden in December—all in all a delicious year. We grew crookneck squash in 2011 and we harvested a ridiculous number of them. Too many! Our main issue was always the squash bugs–I used tape to catch the egg masses and nymphs from the leaves and I crushed the adults as I saw them. It was an every-other-day job and I told my husband we can't plant any squash plants for a few years–we need a break and the bug cycle needs a break. Cucumbers have never been successful for us due to squash bugs and cucumber beetles. We had a bean beetle problem several years ago (literally OUT OF THE BLUE) and then they were gone! I've used “Serenade”, compost tea and harpin proteins to boost the plant's immune response. Also, I found we weren't fertilizing as much as we should have been-I had soil tests done and read up on the heavy feeders. After making sure to fertilize regularly, not only did our plants stay healthier the yields exploded (we use only Espoma). Every year is a learning experience. Good luck to everyone in 2013! Thank you Sabine! This is the year I am going to finally get some Surround and try it on lots of things – stems of squash plants are a great idea. Hurray chickens! (I wish we could have some in the demo garden, but no one lives there to take care of them.) And it was a good year on the whole – all of us have different successes and failures, which makes gardening interesting. Definitely a learning experience, and it is funny how the bugs will come and go. I've also had luck taking breaks from a crop for a while, especially brassicas (although I hate not to grow them) to discourage harlequin bugs. In the demo garden, I've actually wondered if some plants don't do well because nutrients are too high – our soil tests score way up there on everything (so many years of good compost). We tried Surround one year on squash and pumpkin to control cucumber beetles. It did help reduce feeding damage. The problem is that it only takes one beetle to spread bacterial wilt. So we had less feeding injury but no noticeable reduction in bacterial wilt infection. It is weird that the okra would be failing. It is possible that the seeds were old, or maybe there were some freak heat spikes in your area. Or as you said, maybe a change in the soil nutrients affected it. Definitely must investigate on that.